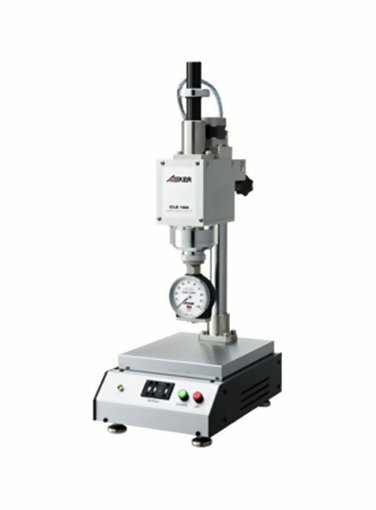 The Asker CLE-150 motorized constant speed/load stand eliminates speed and load variables which occur when hand-testing samples with a durometer. Select speeds from 0.1~19.9 mm/sec in .1 mm increments. Choose a model with the appropriate hardness scale for the material you are testing. In addition, the unique flexible coupling enables the presser foot of the durometer to make perfect contact even on samples with inclined surfaces.